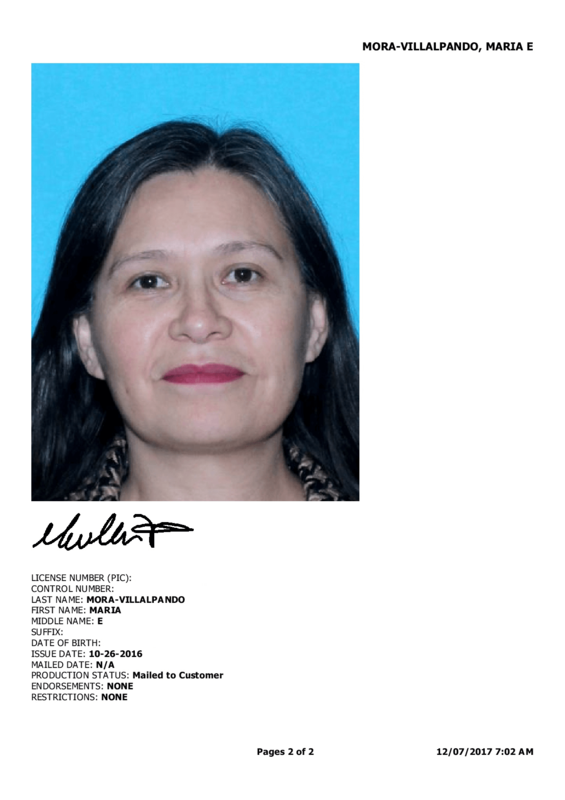 Documents show the WA Department of Licensing (DOL) shared personal information used in the targeting of activist and mother Maru Mora-Villalpando. 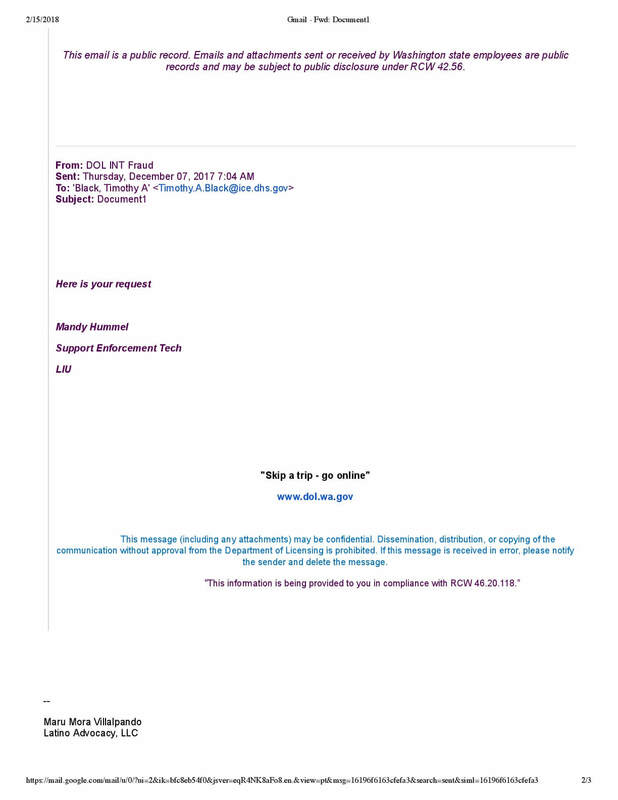 See the e-mails from DOL and ICE below. Maru and Washington-based organizers are asking the state and the DOL to take steps to address the harm they have caused all people whose information was shared with ICE. Find out more and sign the petition here. 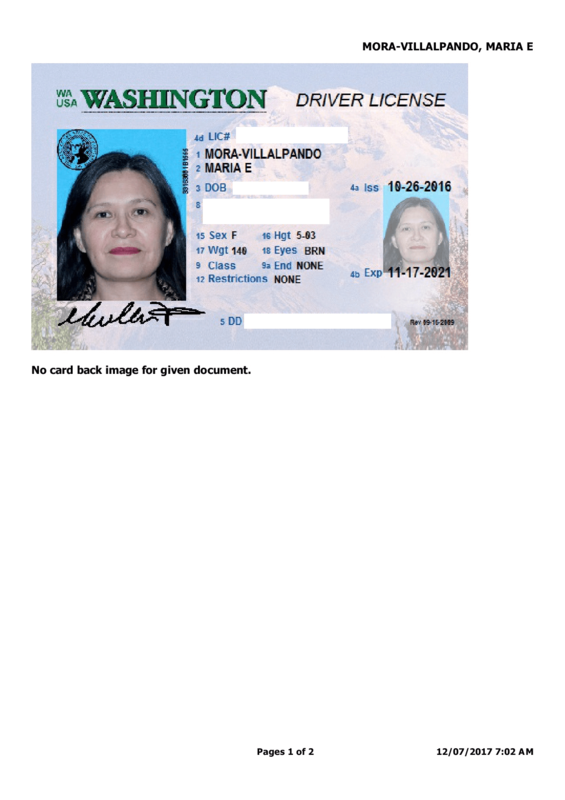 Bellingham, WA – This morning, undocumented activist Maru Mora Villalpando and her supporters revealed documents that show that the Washington State Department of Licensing (DOL) released personal information belonging to Mora-Villalpando to the Seattle Immigration and Customs Enforcement (ICE) office. 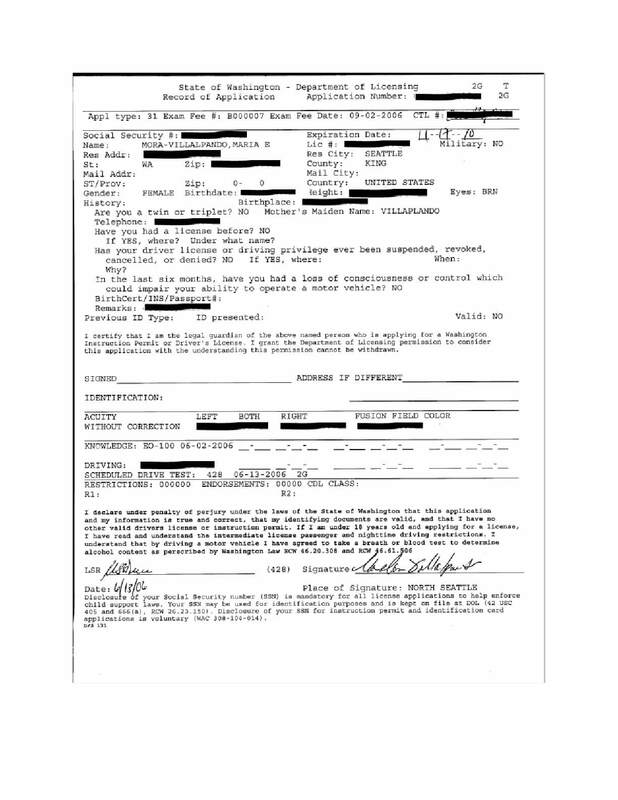 ICE used this information to begin a deportation process against Mora-Villalpando. 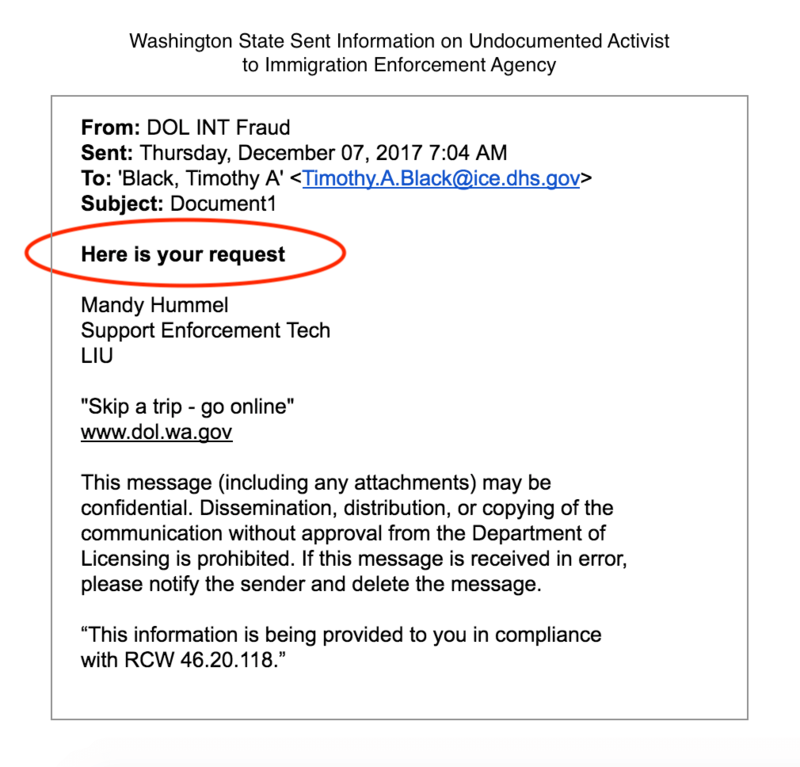 The WA-DOL came under fire earlier in the year when it was revealed that the department had routinely given ICE information from its database without requiring a warrant, “20 or 30 times per month.” The Governor has since ordered the practice to stop and changed processes within the State aimed at protecting immigrants. “If the State was really interested in protecting its immigrant community members, they would share information about ICE requests with us, instead of handing our information over to ICE,” stated Mora-Villalpando. 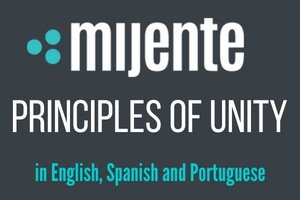 “If the State really wants to take responsibility for its actions, it will contact everyone affected by this breach, and it will offer those affected tangible support in dealing with detention and deportation. All collaboration between State agencies and ICE must end now” Mora-Villalpando concluded. 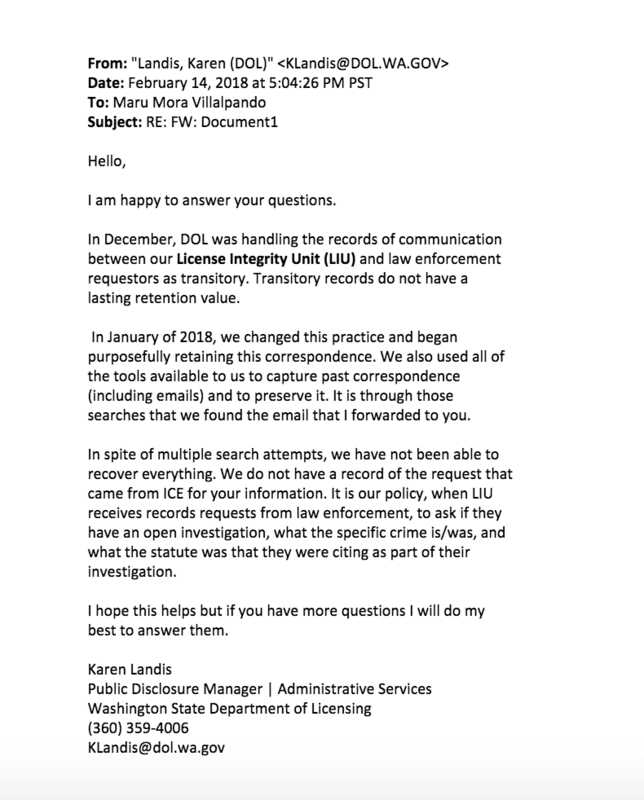 In light of the revelations regarding DOL’s collaboration with ICE, a petition launched today lays out several demands for Governor Inslee, to ensure that the Governor’s office goes beyond investigating their mistake. It calls for the Governor’s office to take proactive steps towards repairing the harm that they have done to immigrants and to prevent being an active participant in future deportations. At an action outside the WA-DOL’s Bellingham office, outraged community members spoke out against the state agency’s information sharing. WA-DOL information has been used by ICE to target immigrant community members for detention and deportation in a state that houses the largest detention facility on the West Coast, the Northwest Detention Center. 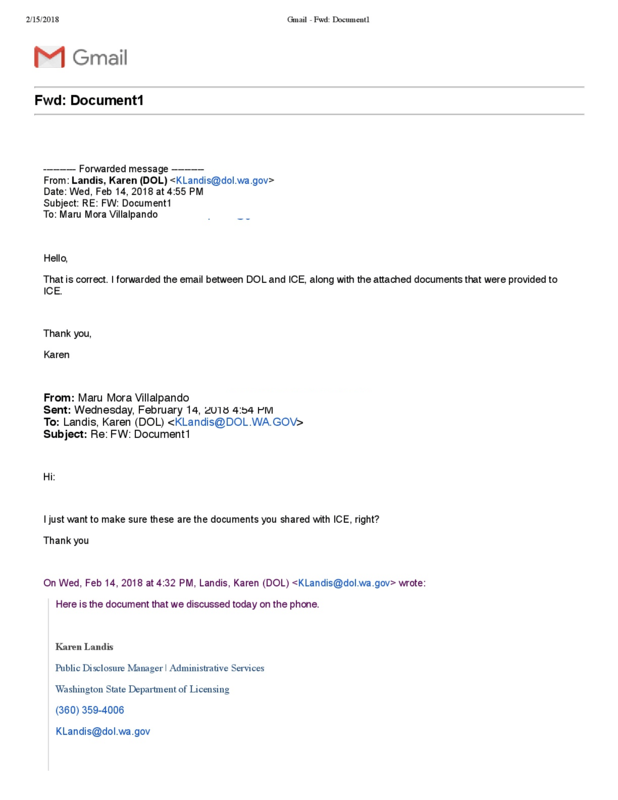 The revelations of the DOL-ICE collaboration have been particularly galling for local immigrant communities who have seen Washington’s leadership posit the state as being at the forefront in the fight against Trump’s war on immigrants.